F.M Suckling Builders was founded in 1872 by Mr Charles Edmund Suckling who opened his first premises in New Road Ware. He remained in business until his death in 1913, by which time his son Henry Charles Suckling had entered the business. A move was made to premises at Amwell End where the company stayed until acquiring the present site as Church Street in 1921. 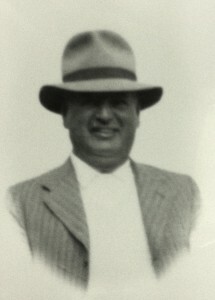 Mr H.C. Suckling died in 1940 and his son, Frank Maurice Suckling, took over the family firm. The company begun it’s life undertaking work for schools, houses, colleges and public houses, and today much of the company’s workload is provided by major breweries, private individuals and Hertfordshire County Council. Mr Suckling has a family of six: Joan, Betty, Molly, John, Richard and Edward, who have all been involved in the family firm at some time or other. In 1977 the company became limited and Edward’s son Paul working during his school holidays on Haileybury College at Hertford Heath. Paul represents the 5th generation of the family to work on this famous old college. The firm’s activities include plumbing, painting, decoration and general house repairs. Over a century has passed since the founding of the firm but the family insists that their many customers are still given the personal service and expect guidance on which Charles Edmund based his business.